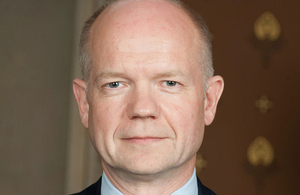 Below is the text of the statement made by William Hague, the Foreign Secretary, following the Crimean referendum on 16th March 2014. I condemn the fact that this referendum has taken place, in breach of the Ukrainian constitution and in defiance of calls by the international community for restraint. Nothing in the way that the referendum has been conducted should convince anyone that it is a legitimate exercise. The referendum has taken place at ten days’ notice, without a proper campaign or public debate, with the political leaders of the country being unable to visit Crimea, and in the presence of many thousands of troops from a foreign country. It is a mockery of proper democratic practice. The UK does not recognise the referendum or its outcome, in common with the majority of the international community. At the meeting of EU Foreign Ministers tomorrow we believe measures must be adopted that send a strong signal to Russia that this challenge to the sovereignty and territorial integrity of Ukraine will bring economic and political consequences. Furthermore, any attempt by the Russian Federation to use the referendum as an excuse to annex the Crimea, or to take further action on Ukrainian territory, would be unacceptable. I call on Russia to enter into dialogue with Ukraine and with the international community to resolve this crisis through diplomacy and in accordance with international law, not to exacerbate it further through unilateral and provocative actions.